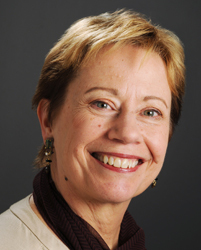 Mary J. Nistler is a senior researcher at AIR. Her work focuses on designing and planning evaluations, particularly those that are utilization-focused and responsive to client needs for timely information. Nistler is currently leading several implementation studies that aim to inform clients about effective and replicable practices and approaches that support program expansion and improvement, including an implementation study for a large district study on a strategic teacher compensation initiative; a state implementation study on Common Core State Standards; and a state implementation study related to afterschool programs. She also leads the design and analysis of an initial review of a statewide system of support, which the state is aiming to move from a regional to a more centralized system. Nistler has led and conducted numerous qualitative studies, often within larger evaluations. Recent work includes: serving as data director for curriculum audits of New York City schools in corrective action; heading up the development of a self-assessment tool for Chicago community schools; conducting a rapid assessment of 22 Chicago charter schools; and conducting a qualitative study of the Reading First initiative in Ohio. Nistler previously worked for EMT Associates (Folsom, California) on a wide range of local and national evaluations, particularly focusing on youth development and service integration.